Hey, kitten. There’s a lot going on in this 1964 comic book anti-smoking PSA by DC Comics. 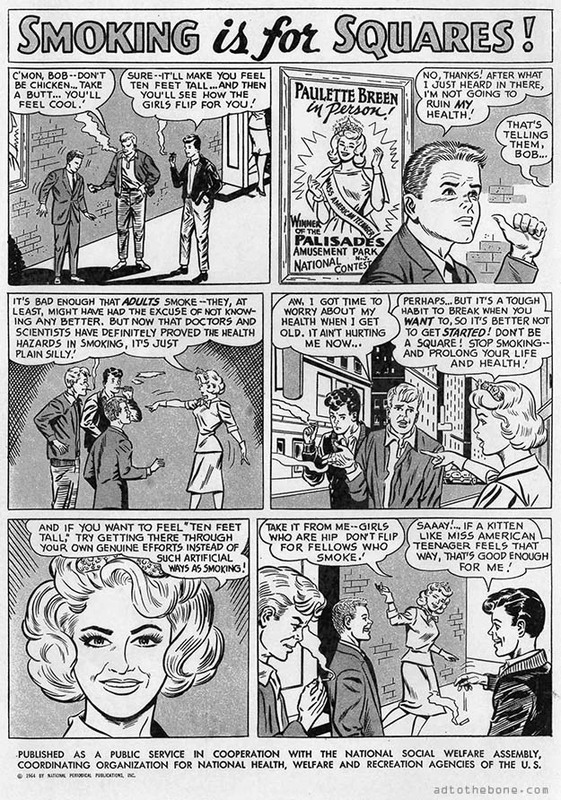 This entry was posted in ads of yore and tagged ad, ads, advertisement, advertising, anti-smoking, cigarettes, comic book ad, comic book advertisement, comic book advertising, comic books, comics, psa, public service, public service advertisement, smoking, vintage ads, vintage advertisement, vintage advertising on November 3, 2017 by Clayton Hove.